Our team consists of divers, historians, professionals, amateurs, deep dives specialists or classical divers, all animated by the same passion for shipwrecks and with the same purpose, which is the basic aim of our association : to share with the great majority of people our underwater discoveries. 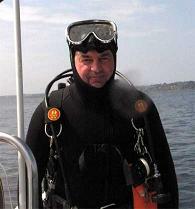 Chairman and Founder of l'Expédition Scyllias, underwater photographer, historian and writer. 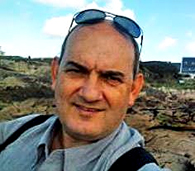 Expeditions organizer, he is in charge of the communication and relationships with the eastern countries and the Maghreb. 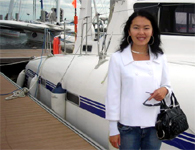 Secretary of l'Expédition Scyllias, she is in charge of communication and relationships with Russia. Treasurer of l'Expédition Scyllias, surface safety assistant. Trimix diver and instructor. 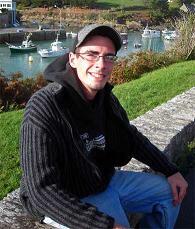 History enthusiast and tattoo peerless for over 30 years in Lorient. 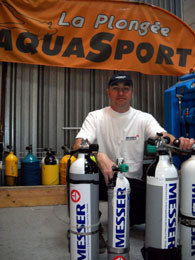 Manager of the Aquasport diving shop in Lorient, specialized in diving for Morbihan. Manager of An Orient Navigation boating school in Lorient. Webmaster of l'Expédition Scyllias website, he is in charge of communication and relationships with western countries and Australasia. Professional class 2 A diver. 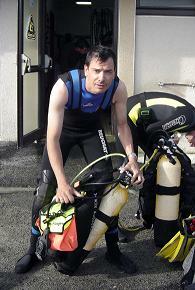 Trimix and professional class 1 A diver. 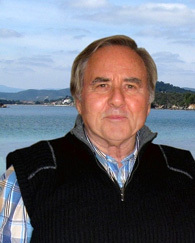 Honorary chairman of l'Expédition Scyllias. Jean frequently takes part to our expeditions and is a reliable sponsor of l'Expédition Scyllias. 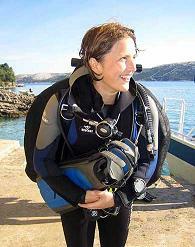 Professional trimix diver, well-known underwater photographer and coral fisher. 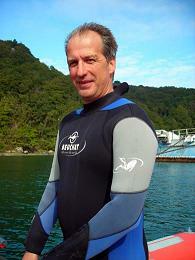 TDI, Padi and CMAS Course Director. 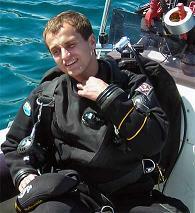 Manager of Odysea diving centers in Kelibia and Hammamet. 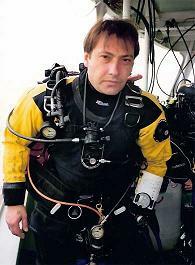 He took part to several projects of underwater pictures with the B.B.C., Planète Thalassa, Discovery Channel and publishes in French, British and German diving magazines. 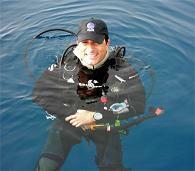 He also worked as professional diver for the United States Naval Institute. 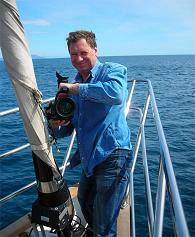 Well-known underwater photographer and cameraman, he produces documentaries for the Russian and Ukrainian TV, compères the Aquapanorama programme on the Autonomous Republic of Crimea's TV. 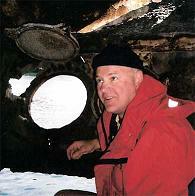 Took part to several expeditions with l'Expédition Scyllias. 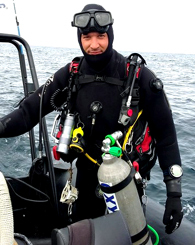 Serge Fitoussi offers courses for all levels, taking into account your wishes in offering programs designed for the diver that you are and that you want to become. 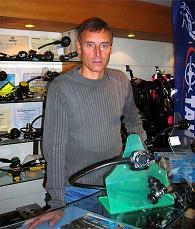 This PADI Course Director learns air, Nitrox, semiclosed rebreather, digital photography, deep diving, diver propulsion vehicle, night diving, wreck diving, underwater naturalist, etc… Serge has been diving seriously since about thirty five years and is professional since 1988. His professionalism and his integrity are nowadays well-known. 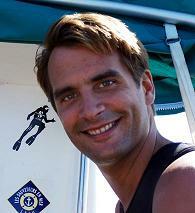 Serge works with a highly qualified, friendly and always available staff in his dive-center, U-Dive, especially founded in 2006. It became a PADI 5 Star IDC within the first days of its opening. 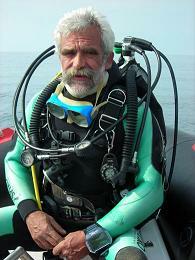 Claire Fuzellier assists him as dive instructor and journalist. 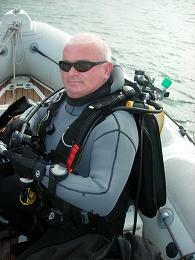 George started diving in 1994 and has dived in many countries of the world such as Australia, Belize, Russia, Malta and Cyprus. 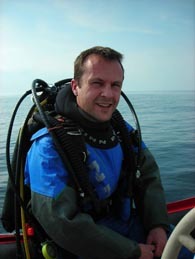 He has systematically got involved with the research of modern shipwrecks and was the first to dive, investigate and identify the historical shipwrecks of the Second World War in the Gulf of Patras. 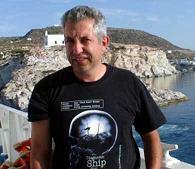 He has created a large file of historical shipwrecks that he now maintains, including a remarkable record for most ships sunk in recent years in Greek waters. 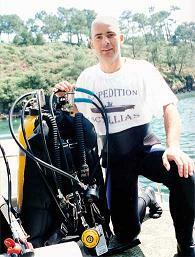 George Karelas is a columnist in the Greek magazine Thalassa and member of the Association of Recreational Divers TETHYS. All these are complementary to his main activity : he directs the Karela Winery family business in Patras (established in 1936). 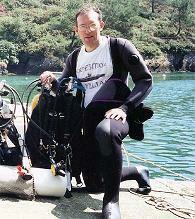 Well-known trimix diver, journalist and chief editor for several magazines. Eric is a FFESSM archaeology instructor. 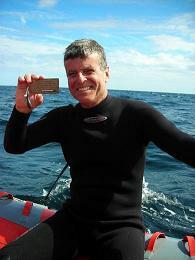 Sylvie, his wife, also dives and both are working as treasurer and secretary for the GRAHMBS (atlasdesepaves.fr). 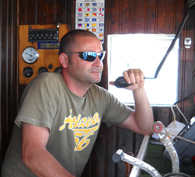 Andreï is a Russian marine engineer in the VMF (navy) specialized in rescue and exploration submarines in deep conditions. 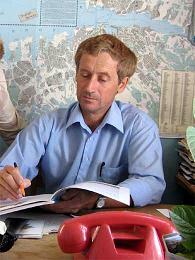 He paints for the navy, acts as a historian and maritime journalist in the the Autonomous Republic of Crimea. This exceptional artist has painted many canvasses which are now well-known far away from Russian and Ukrainian borders. Some of them are illustrating a few of our books (Les Gardiens du Silence, L'Armorique) and will illustrate several other books currently in hand. Nestor is Officier instructeur de tir au sein de l'armée brésilienne, Nestor est aujourd'hui détaché au musée du Commandement militaire Sud ( Museu Militar do Comando Militar do Sul ) à Porto Alegre où il occupe la fonction d'assistant-conservateur. Ecrivain, il est également expert en U-Boote. Grand voyageur Nestor parcourt le monde à la rencontre des reliques sous-marines de l'Unterseebootwaffe, l'arme sous-marine de la Kriegsmarine. Journalist, founder and former Editor-in-Chief of the magazine Octopus, Publishing Director of the plongee-infos.com portal. Underwtar photographer and chief editor of Nurkowanie. 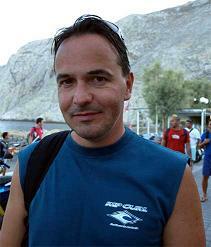 Istvan is chief editor of the magazine. Olivier is a specialist of the French Navy history, particularly for the period 1870-1918. He wrote L’Aumônier d’escadre, 1893-1899 (the Squadron Chaplain, 1893-1899), a testimony of everyday life aboard French troopships and armoured-plated ships of the Far East Squadron at the end of the XIXth century, and L’Epopée des transports type Annamite (the Annamite class troopships Story), a magnificent encyclopaedia about the French government troopships, programme 1872. Diver, writer. Co-author of les Messagères de l'Histoire.